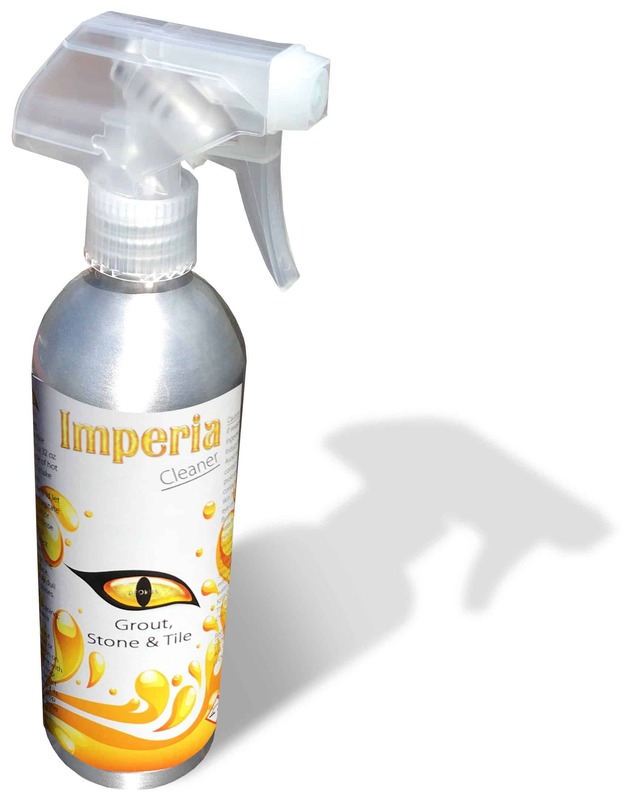 Imperia is a maintenance tile and grout cleaner like no other. 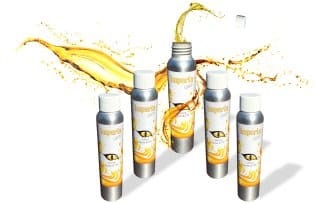 With the concentrated formulation, Imperia will make up to 1 gallon. See all the features below, how Imperia will change the way you clean and maintain. The new Imperia aluminum bottle packs an unprecedented amount of cleaning strength in an unthinkable amount of space. A big reason we were able to do that, is the high concentration of the product which can be spread across a surface, once mixed with water. Mix the entire bottle of Imperia into one gallon of water. No product has been formulated this way before. And yet it makes so much sense, it’s now hard to imagine formulating one any other way. Clean to every detail in greater detail. Cleaning stone, tile and grout has quickly become all about natural and safe cleaners. And now, with pFOkUS’ exclusive cleaning line, you have one place to access deep cleaners and maintenance cleaners. Imperia Maintenance tile and grout cleaner is not intended to remove deep stains in grout and stone but moreover acts as a fresh cleaner – leaving the surface sparkling clean and free from grime. Use on all surfaces such as glass, tile, stone, fixtures and much more. be your next tile and grout cleaner. 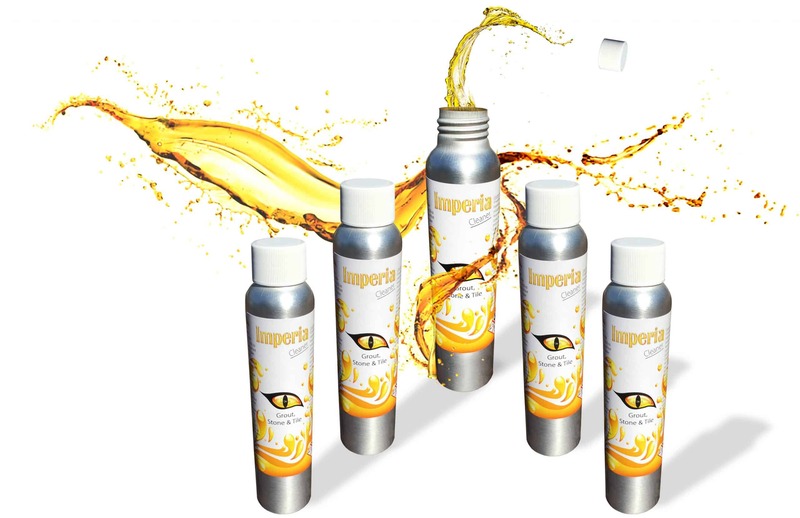 From the first time you open the Imperia bottle, everything is designed to be easy and simple. You can use Imperia to remove stains, soap scum, soil and discoloration on tubs, glass, tile, grout, stone, metal and much more. 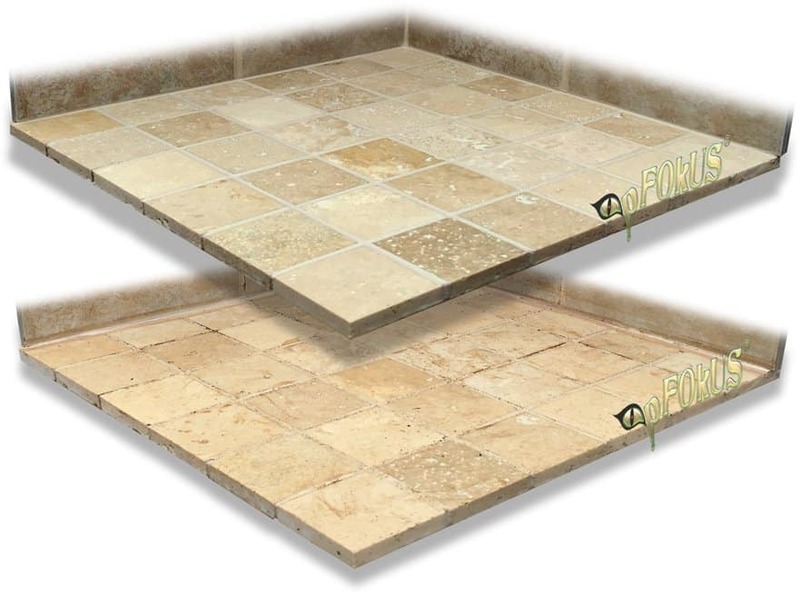 In fact, see the travertine picture – the bottom image is before stained stone and the top is the cleaned stone. Finding a stylish bottle to leave in your shower to clean it when possible was hard to find until now. We take the same innovative approach to the environment that we do with our products. Imperia is formulated with green materials to create a safer product that not only cleans but disinfects the area while killing mold and mildew. Yes. 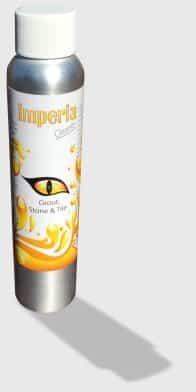 Imperia can be diluted up to one gallon. Does Imperia have to be washed with water after cleaning in the shower? Yes. It is always better to wash any surface with water after using Imperia to remove any excessive soil. Does Imperia need to be retracted off the floor once the surface is cleaned? Yes. Imperia should be retracted from the surface and then mopped with water to remove any impurities. Does Imperia have a bad smell? Imperia has a fresh clean smell with no fragrances added. 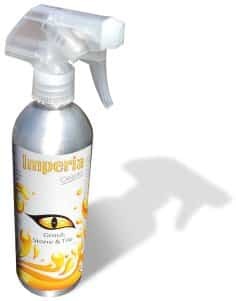 Is Imperia Maintenance the strongest cleaner pFOkUS carries? No. Imperia Commercial Deep Clean is our strongest cleaner.